Furnished Apartment Homes & Corporate Suites in Houston, Texas. Whether you are a resident, first-time visitor or living in Houston corporate housing, there are many great things to do in the Houston metro area. Before you spend another boring day, consider these fun activities. Walk through the space shuttle replica Independence and see the shuttle aircraft carrier at Space Center Houston. Imagine what it was like to be aboard America’s first space station called Skylab. Ride the tram to visit mission control at Johnson Space Center. Touch a rock from the moon. Wander through the 19 complimentary museums in the Museum District. See art from the Byzantine world at the Menil Collection. Explore art at the Contemporary Arts Museum, Houston Center for Contemporary Craft, Lawndale Art Center and the Houston Center for Photography. Hear the lions roar at the Houston Zoo. Hear survivors tell their stories at the Holocaust Museum. End the day by taking in a show at the Miller Outdoor Theatre. Overindulging is easy when you live in Houston. Having a sausage and cheese kolache at Shipley’s is an outstanding way to start the day. Indulge in the Cajun ceviche at Goode Company Seafood. Eat the handmade pansotti at Tony’s. Nothing says great southwestern cuisine more than the mixed grilled parrillada at Churrascos. Play with your dog in the dog park located in Buffalo Bayou Park. Explore the bayou by paddling a kayak or a standup paddleboard. Ride your bike around this 160 acre green space. Enjoy the many sculptures located throughout the park. End the day by watching the 250,000 Mexican bats swarm out from under the Waugh Drive Bridge as the sun sets. Catch your favorite sport’s team when they play in Houston. In the fall, root for the Houston Texans at NRG Stadium. When the days turn cooler, yell for the Rockets at Toyota Stadium. Enjoy the warm summer days by watching the Astros play at Minute Maid Park. 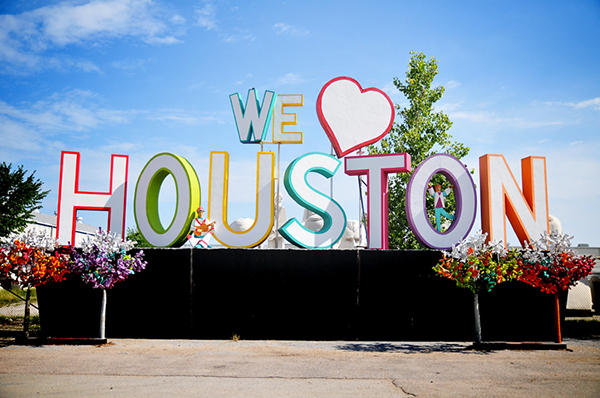 With so many great things to do in Houston, you will need to stay awhile. Therefore, make sure to consider corporate housing as your lodging solution.